House of Stewart Flowers in Darien, Illinois recently announced that it is joining forces with another great Chicago area florist, Phillip's Flowers & Gifts, in order to streamline operations and provide even better selection, service and value for its customers. According to founder Tom Stewart, "I'm still be available personally, but we have even greater resources -- more flowers, more top-notch design support, and more delivery vehicles serving Darien and greater Chicagoland, too." 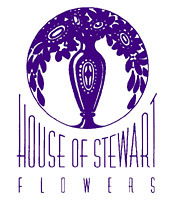 After college, floral design school, and working for several other Chicagoland florists, Stewart opened House of Stewart Flowers in 1988. Since then, the local Darien florist has been delivering flowers throughout the west and south suburban Chicago areas. "We've always been committed to serving our customers personally with the best in fresh flower design and delivery," said Stewart, "and Phillip's is an ideal partner to help us continue doing just that." Having outgrown its shop at 7516 Cass Ave. in Darien, House of Stewart is relocating its operation just up the road to Phillip's 30,000 square foot design center on Cass Ave. in Westmont and becoming part of the Phillip's team." Founded in 1923, Phillip's is a third-generation, family-owned florist with ten award-winning locations serving Chicago and more than 150 suburbs, including nearby Darien. 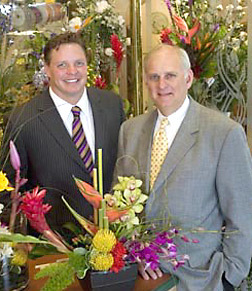 According to its president, Don Phillip, "We've worked professionally with Tom for years, share the same commitment to our customers, and are delighted that he and House of Stewart Flowers are becoming part of our family." "Together," said Stewart, "we'll be able to offer House of Stewart customers an even better variety of flowers, because Phillip's buys direct from all over the world." House of Stewart will also have the added resource of nearly 200 design, delivery, and support people at Phillip's. From a simple hospital or birthday bouquet, to same-day nationwide flowers-by-wire, custom wedding flowers, event decorations, exceptional sympathy expressions, and commercial interior plantscaping, Phillip's Flowers does it all. Now, as part of the Phillip's organization, House of Stewart does, too. "The synergies are obvious," said Phillip, "and the personal chemistry is just right, too." Perhaps this type of cooperative joining forces will be a model for other local florists in neighboring towns -- combining resources to enhance customer service and improve productivity at the same time. It's all about teamwork, and according to Stewart, "We couldn't be more pleased with the team of professionals we're joining." For additional information, call House of Stewart Flowers and Phillip's Flowers at 630-719-5200, visit 524 N. Cass Ave. in Westmont, or shop online at Phillips-Flowers.com.